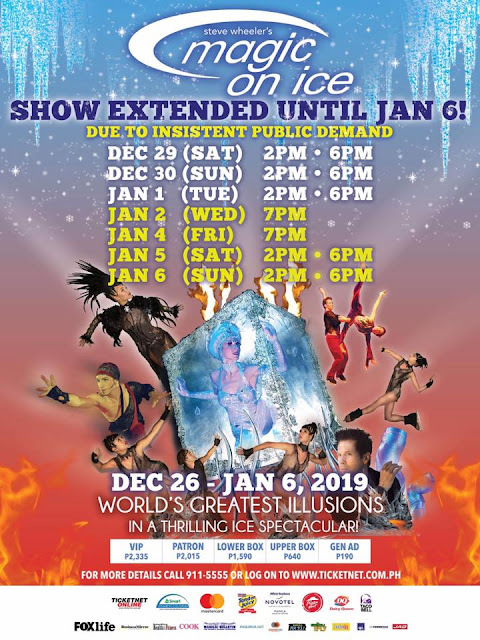 Whole family at the "Magic On Ice" at the Smart Araneta Coliseum, Extended until January 6, 2019! 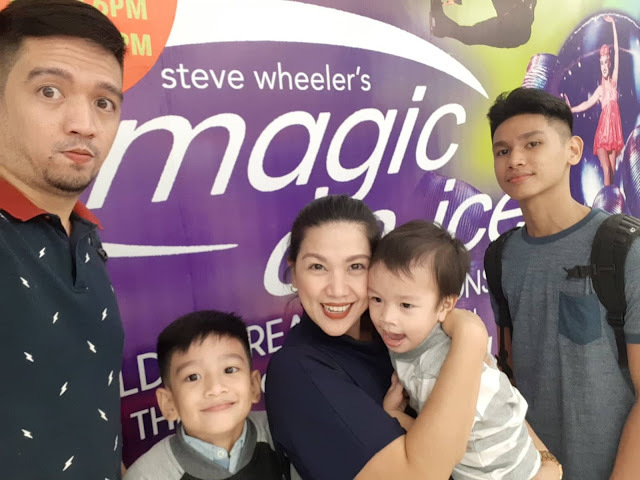 I've been sharing on my social media accounts our awesome experience watching "Magic On Ice" at the Smart Araneta Coliseum. It was definitely one for the books not only for the kids but also for me and hubby! I've been raving that the show displays professional magic tricks, jaw-dropping stunts/choreography, and mind-boggling illusions, talented ice skaters (oh my the stunts, their skating muscles are admirable) with a great story line viewers could easily follow and understand. 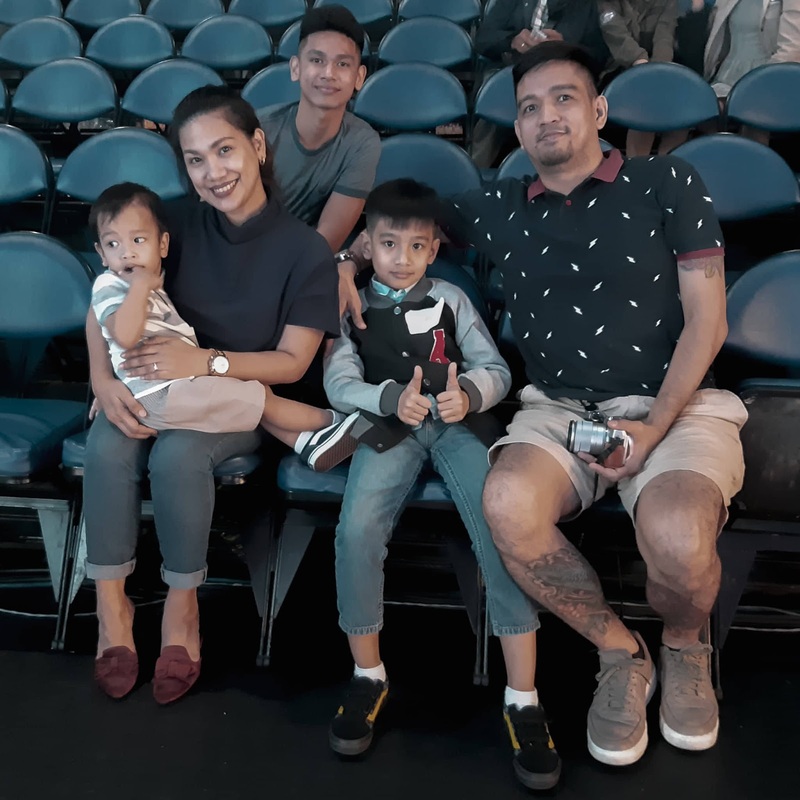 We all had a great time watching the show! Definitely one for the books! Thank you Araneta Center! This one-of-a-kind Christmas show is extended until January 6, Sunday so if you haven't watched it, catch it while it's still here. For sure, you will not regret it for we've had a totally thrilling experience watching it. My husband's and teenager's enlarged eyes after each quick illusion act is a testament to how stunned they got. Each reaction to the tricks is followed with "How did that happen?!" I can only say so many good things about the show and I highly recommend it to families. Watch it with your kids before they start going back to school That's just what we did! And guess what? 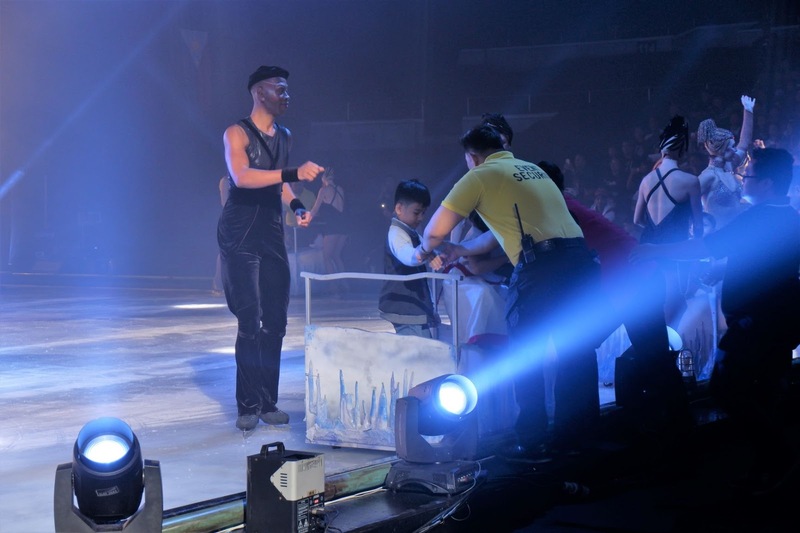 As if the experience watching the show wasn't enough, the highlight of it was when Wes was invited to be one of the selected few kids to ride a carrier on ice. Our dear Wes about to go on the ice to ride the carrier. An experience he won't ever forget! Hi my handsome prince! I am happy this experience made you so ecstatic! Another awesome childhood memory! His happiness and my mommy heart joy outburst are PRICELESS and I couldn't thank God enough for this once in a lifetime opportunity for our family to be able to watch such an amazing show. We also had a quick photo op with some of the cast after the show. Jan 6, 2019 (2pm and 6pm). With “Magic On Ice,” the Big Dome, considered as the Philippines’ mecca of sports and entertainment, is transformed into a giant skating rink complete with lights and effects produced by teams that have worked with international superstars Madonna, Sting and Prince. Tickets to “Magic On Ice” are now available at popular prices in Ticketnet outlets nationwide. You may also buy your tickets through www.ticketnet.com.ph or may call 911-5555. I invite you to watch with the whole family! 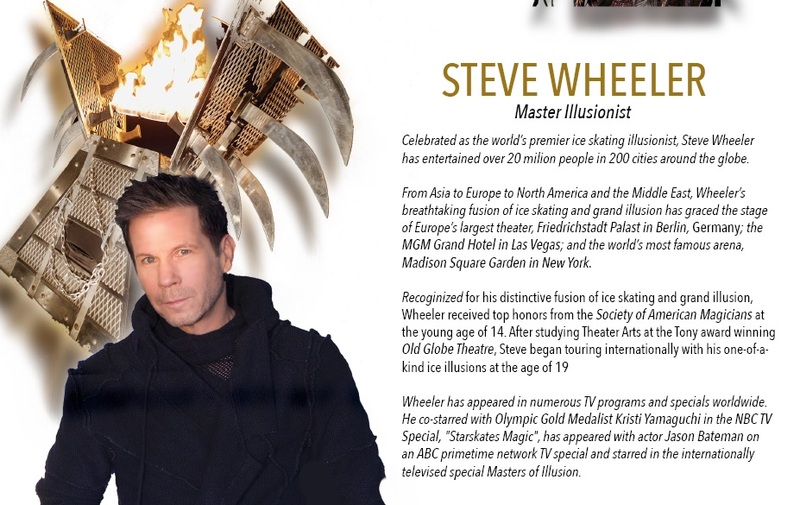 Create wonderful and unforgettable childhood and family memories by watching Magic On Ice! Catch it while it's still here! We certainly had a great experience and we are really grateful for the opportunity to have watched it before the kids go back to school! A perfect way to end their holiday break! @TheAranetaColiseum on Facebook and Instagram and @TheBigDome on Twitter.